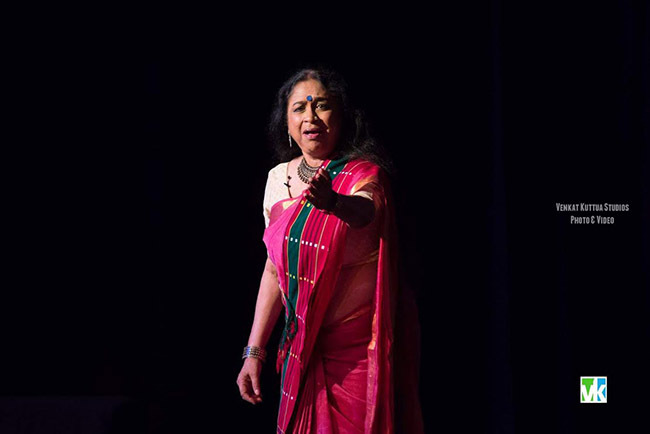 Atlanta, GA, June 9, 2016: ‘I am Sita’ – a unique presentation about Lord Rama’s wife Sita and four other female characters from the epic Ramayana was brought to Atlanta recently by Uma Palam Pulendran, founder of Natya-Dhaara. A Justus Repertory production, the performance was held at Mountain View High Theater in Lawrenceville. A blend of dance, music, poetry and the spoken word, Aham Sita framed five crucial moments in the life of this epic woman. As Sita tells her story, we also hear voices of other women from the Ramayana- Urmila, Ahalya and Mandodari, counterpointing Sita’s saga. The next part of the narrative was about Sita’s sister Urmila (the wife of Rama’s brother Lakshmana), who was left behind in the palace for 14 years when Lakshmana followed his brother Lord Rama to exile. Urmila’s story of abandonment comes off as one of the best moments of the presentation. Another avatar –Ahalya who is cursed to become a rock in the forest, was presented in Tulsidasa’s soft and melodious Avadhi expressions. She was depicted as waiting to be brushed by Lord Rama’s foot in order to turn back into human form. The last avatar, Mandodari, wife of Ravana (the King of Lanka who kidnaps Lord Rama’s wife Sita) is constantly questioning her husband: Why did you vanquish the wife of others? She repeatedly asks Ravana to return Sita back to Lord Rama. As the narrator is presenting each of these female characters, Sita subtly unfolds her feelings and declares that she will not be humiliated once again, when Lord Rama asks her to prove her fidelity in an open court by passing through the ‘Agni-Pariksha’. Playwright and theatre director Gowri Ramnarayan reprises her multi-form, multi-disciplinary multilingual formula with original music, new and old verses and a fresh script that locates Sita in decisive scenes from the Ramayana. She looks to the classics and contemporary poets to discover what makes the magic of Sita work; why does she continue to capture the collective imagination of a civilization? 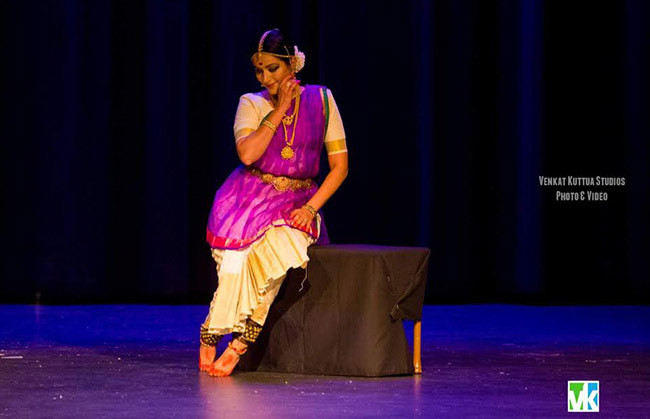 Vidhya Subramanian, Bharatnatyam artiste and choreographer, essays Sita, with color and grace. Abhinaya from the Bharatanatyam lexis and English dialogues combine in the visualization of Sita as a proud woman capable of holding her own in the face of adversity. The dance portions provide energy and sensual elements necessary for the idiom while the dialogues emphasize the resolute spirit of the princess of Mithila.